bebopified: CD review: e.s.t. 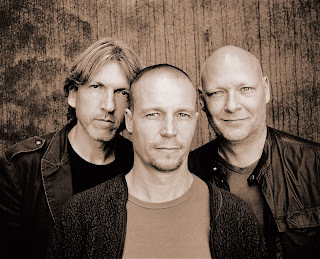 's (Esbjörn Svensson Trio's) "301"
CD review: e.s.t. 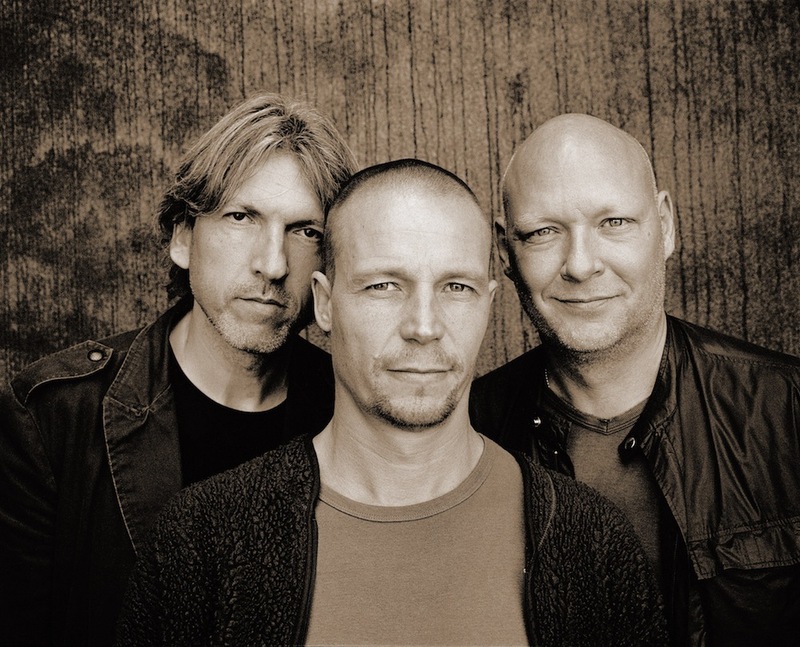 's (Esbjörn Svensson Trio's) "301"
If anyone suggests that e.s.t.’s final studio album, “301,” suffers from the absence of pianist/composer Esbjörn Svensson at the mixing and mastering stage, they’re wrong. “301” might sound different had Svensson not died in 2008 in a diving accident, leaving behind two albums' worth of newly recorded material, but it's hard to imagine that it could sound better. Like "Leukocyte" (2009), which Svensson was around to finalize, and which came out of the same series of recordings made in a Sydney studio when the band was on a brief break from touring, "301" is not a collection of scraps or outtakes. This is the e.s.t. we know and love, the trio that makes us think and feel, groove and raise our fists in the air. “301” begins with Svensson solo on “Behind the Stars,” a single note alternating with, then overlapping simple chords. Bach-ish and chiming, it blossoms into a meditation. We’re reminded that Svensson sang when he played, and that he was a master of the soft touch and soft pedal. We hear a bit of bassist Dan Berglund, a few arco notes that open the door so “Behind the Stars” can merge smoothly into “Inner City, City Lights,” a lengthy jam of fuzz, squeaks, drones, feedback, a continuous, choir-like looping ahhh, and rumbling bass that settles into a groove on which Svensson’s piano can dance. Where “Behind the Stars” was pensive, “Inner City, City Lights” is dark, the ahhh shifting from the sound of surprise to the sound of despair. “The Left Lane,” the second-longest piece on the album (clocking in at 13:36), is straight-ahead piano jazz as e.s.t. played it, spotlighting Svensson the improviser, quick-fingered and full of ideas, ending with a lengthy solo by Berglund (is there anyone who sounds like Berglund?) and drummer Magnus Öström’s airy brushes. Play this for the person who says, “I thought e.s.t. was a rock band.” They started as a jazz band and stayed a jazz band as they added other music to their repertoire. “Houston, The 5th” is a work of machine dreams, pure electronicity, sound without rhythm or melody. Especially following “The Left Lane,” it’s e.s.t. being e.s.t. And then, without a break, we’re back with Svensson’s poetic piano on “Three Falling Free Part 1.” Like “Behind the Stars,” this track is a thing of beauty, Svensson’s delicate keyboard work exquisitely accompanied by the two friends with whom he collaborated, recorded, played, and traveled for much of his life. Like The Bad Plus, with whom they have often been compared, e.s.t. was a band and an entity. Lacking Svensson, Berglund, or Öström, it wasn’t e.s.t., which is why the band was over when Svensson died. “Three Falling Free Part 1” gives way, after a brief pause, to “Three Falling Free Part 2,” and here, for the first time on “301,” we hear the power, endurance, and heat of Öström’s drums. Until now, Öström has been in the background or in trio; for more than 14 glorious minutes, he leads a furious charge of signature e.s.t., never letting up or slowing down, joined by Svensson and Berglund at their biggest and baddest, fuzzed and buzzed by maestro Ake Linton, the sound engineer with whom the band always worked and who returned to mix and master “301.” All that’s missing from this track is the stadium and the lightshow. The skippy, static-filled fade of “Three Falling Free Part 2” precedes the final track, the hushed and wistful “The Childhood Dream.” Berglund’s bass steps softly, Svensson’s piano enters like a gentleman caller, and Öström adds hand drums in this poignant and tender ballad. Truly, “301” is framed in tenderness. It packs a lot of bang into the middle, but begins and ends with a whisper. I like that. It helps me remember Svensson’s kind, intelligent face, and his smile, and the way he leaned into the piano, getting close to the keys. Is “301” e.s.t. 's best record ever, as some critics are saying? I don’t know and I don’t really care. Honestly, I like all of their albums. Starting in 1993 with “When Everyone Has Gone,” there are 14, including two live recordings. “301” is a logical next step in the evolution of a great band. That it’s the last step should not color how we hear or respond to it, except to regret there won’t be more.